First, login to cPanel. For help on this, view the article Logging into cPanel. 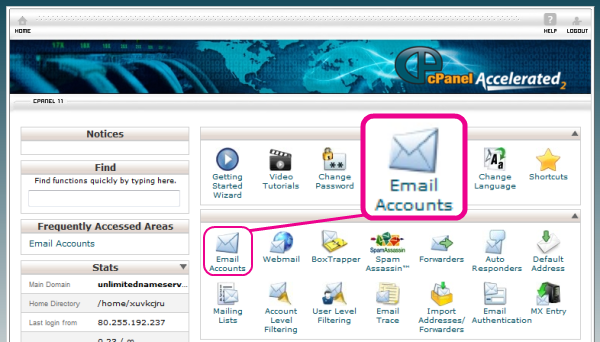 From within cPanel, click on Email Accounts. 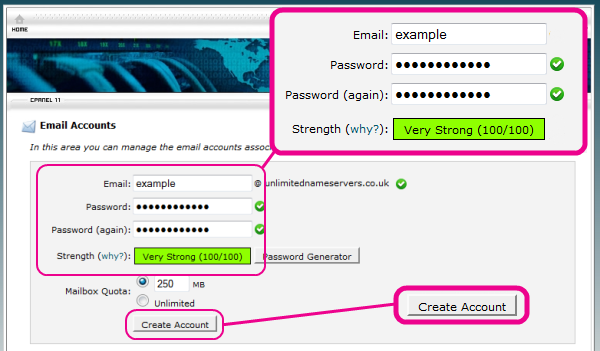 Enter your desired email address (excluding the @ part) and a password for the account. Finally, click Create Account.